With well over one million apps fighting for attention on both Google Play and Apple’s App Stores, it’s easy to see why even the most brilliant of app innovations can be overlooked. New games, sharing economy platforms and content providers are springing up left right and centre, all trying to simplify, connect or bring some entertainment to our busy – and gadget-filled – lives. So how can you ensure your application is the one that grabs the headlines? Every app has fantastic – and often untapped – potential to create its own news stories by understanding and making the most of the statistics it has right at its fingertips. The data each app collects (or has the opportunity to collect) when users sign up is a goldmine for generating interesting headlines which are both newsworthy and relevant to the app. And, when the data comes from the company itself, it is an incredibly cheap way of getting your product in the national media. 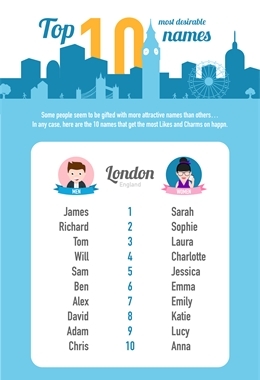 We worked with Happn, using their hyperlocal dating statistics to find the most attractive names and jobs of men and women in London, Paris, New York and Barcelona. The data painted a fascinating picture of the most eligible singletons across these cosmopolitan cities. The app works by connecting users who have crossed paths on their way around the city, allowing users the chance to ‘like’ and ‘charm’ their real life crushes. Happn syncs with Facebook to fill in users’ names and jobs. The statistics of users who received the most likes and charms were used at little cost to calculate the results. Happn even created infographics to make the data digestible and entertaining at a glance. The story, rooted in Happn’s own collateral, was covered by i100, Metro, London24, Closer and many more. The potential for interesting national paper or magazine stories is limited only by the amount of information the platform collects, and of course by the privacy of users. If your app can’t or doesn’t wish to mine its own data, using surveys is a brilliant alternative. One particular problem for apps is generating a recognisable personality. A faceless platform is difficult to promote, so your app must be secure in its USP and have a clear idea of what kind of character it wishes to present. 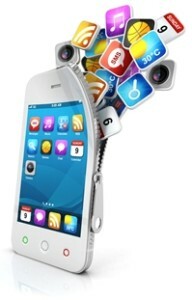 Apps are normally of interest to consumers for one of two reasons: they can either be beneficial or fun. Beneficial apps help users manage their day to day activities, offer a new or more convenient service, or provide interesting information. Whatsapp, Uber and Google Maps are all really useful apps with their own distinct personality and clear function. Fun apps often top the app stores’ best sellers, and tend to be games or gamified platforms. Candy Crush Saga, Minecraft and Angry Birds are hugely successful examples. Uncover is an app which finds last minute bookings at London’s finest restaurants; Wriggle suggests hand-picked offers at independent bars and eateries. A killer one-line description writes its own headlines. When Tinder started rolling out its paid-for version, Tinder Plus, it faced disappointment and backlash from users surprised and aggravated by the monetisation strategy. 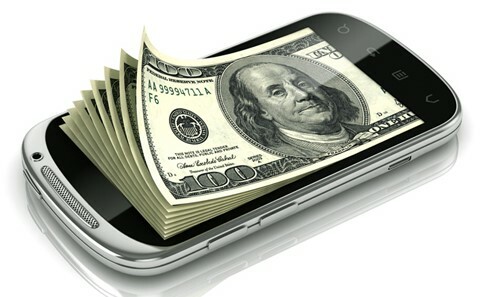 Apps should have a clear revenue model from the outset, even if it is not implemented at first. Happn use a freemium model whereby the key features of the app (connecting with and chatting to other singletons) remain free, but users can choose to purchase ‘charms’: notifications to grab a crush’s attention. The clear and demonstrably workable strategy was important not only in raising funding, but means that users register with the app with understanding and trust. In addition, many of the top grossing apps on Google Play’s app store use a freemium model – plenty of games in particular provide a free download to draw in users and offer in-app purchases. Of the top grossing apps on the store, Clash of Clans, Candy Crush Saga, Boom Beach and Hay Day to name but a few are all freemium products. For apps that don’t suit a freemium model, an initial download price may be better – but burgeoning companies should be wary. Apps that are deemed essentials can demand a small price once they’ve developed enough standing. Hundreds of millions of users are more than happy to pay Whatsapp’s yearly rate – a matter of pennies – for a service that has completely disrupted text messages and the way we contact friends overseas. However, it is worth noting that free apps understandably tend to get more downloads, and an app needs an exceptional offering to command an initial fee. Ads are of course a popular alternative, but the user experience must remain central. Clarity, honesty and understanding of your app’s own collateral are vital to PR success. Data and survey stories are great, cost-effective ways of generating your own news stories. Keeping a clear idea of what character your app presents and the value it offers will help consumers grasp your purpose easily and will write the headlines itself. When monetising your innovation, make sure to have a plan from the outset, and to communicate your intentions clearly with consumers. The monetisation of your platform shouldn’t take away from or generate distrust around the critical user experience. The key to your app’s PR success is giving your app’s central message the best opportunity to shine through.